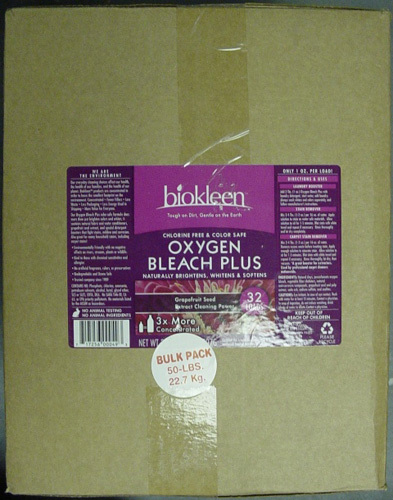 BioKleen's Oxygen Bleach Plus color-safe formula does more than just brighten colors and whites; it contains natural fabric and water conditioners, grapefruit seed extract, and special detergent boosters that fight stains, mildew, and corrosion. Also great for many household stains, including carpet stains! A great booster for carpet extractors, recommended by professional carpet cleaners nationwide.